Since the Meds and Foods for Kids trainings for peanut farmers has ended, SolKomYo Agronomist Evens has continued supporting the farmer groups. After understanding that insects were a large problem on many of the farmers’ lands, Evens has been conducting natural insecticide trainings with the farmers. In the approach that Evens uses, an insecticide is created with the use of local leaves and household materials. He explains in detail to the groups how to make it and apply it to their crops. Evens will follow-up with the participants to see how the application is received and if the farmers have faced any challenges. The Insecticide Training uses accessible material, making it a practical and affordable way farmers can combat their insect problems. This is an example of how SolKomYo strives to respond to the priority needs of its beneficiaries. 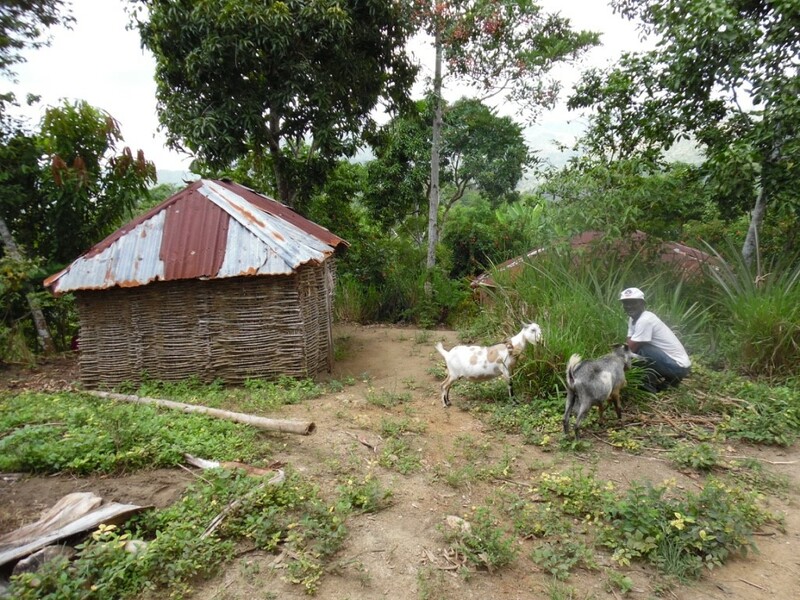 By providing a practical, “Do-It-Yourself” solution, farmers are given the tools to combat these obstacles themselves. Farmer, Philogène St. Vil, shows the SolKomYo Team how he has used the insecticide on his rice crops. 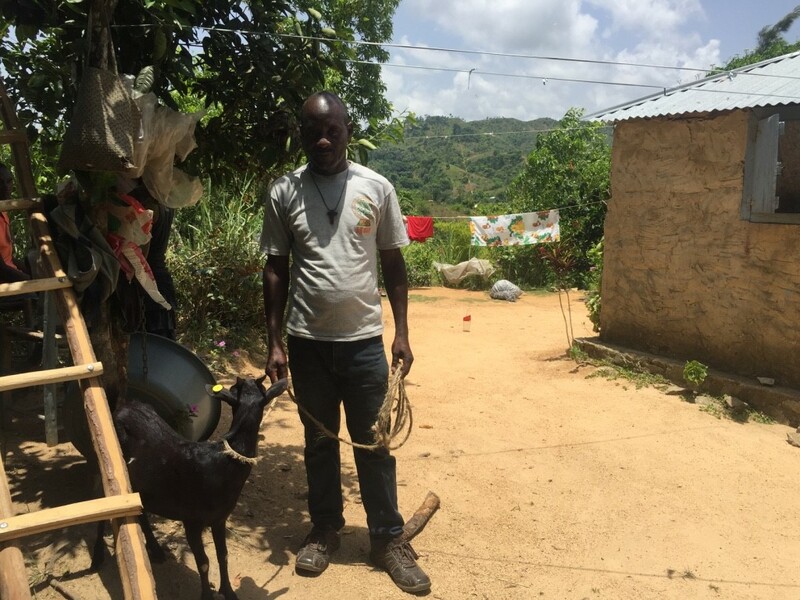 The farmer pictured above, Philogène St. Vil, has used the insecticide three times and has already seen results on his farm. 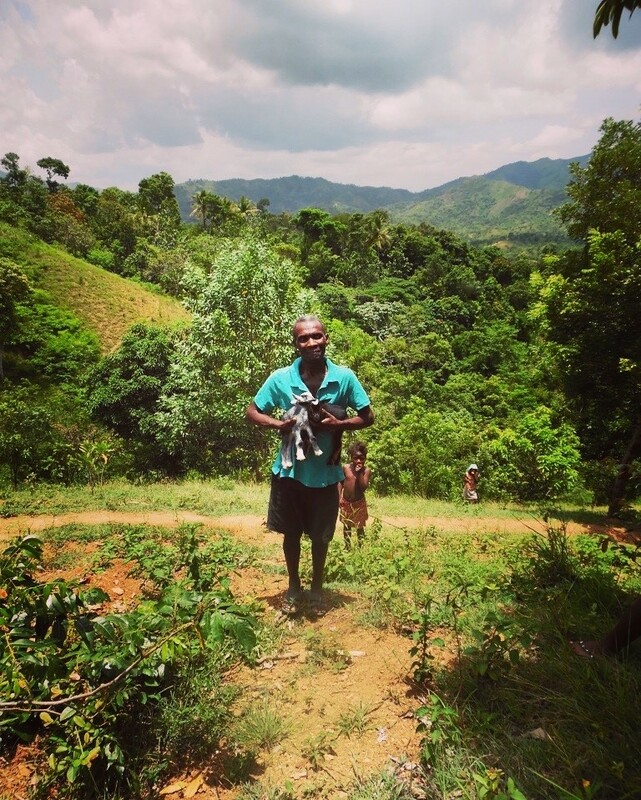 He shared the process with his neighbor too, creating change at the community level. Solisyon kominote Yo and The Sisters of San Juan in Ouanaminthe invited 6 local schools to celebrate The International Day of Children in the courtyard of the Sisters Homeon June 1st. The day began with an introduction of the organizations present, which was Solisyon Kominote Yo, the Sisters of San Juanita, and Codevi, each explaining the importance of youth in Ouanaminthe. Members from Las Hermanas, Codevi, College Belle Amour, and Solisyon Kominote Yo team up to help prepare for the event. The event was a unique opportunity to provide a day of celebration for the 300 students that came, and to show that across all schools in Ouanaminthe, children have rights and access to freedoms, and represent the future of Haiti. Each school prepared a short activity to present in front of the class, filling the space with song, dance, poetry, and theater. Students from the schools prepared activities to perform in front of the group. The event was also a way to build great partnerships between Solisyon Kominote Yo, the Sisters of San Juan, Codevi, and the schools in Ouanaminthe, creating a strong platform to continue working together in the future. Members from Las Hermanas and Solisyon Kominote worked together to coordinate the event. With a cast of approximately 100 graduates , new coaches and guests, a member of CODEVI’s sustainability department, and a representative of CODEVI’s savings plan department, the graduation ceremony which was organized of the financial Literacy course held on April 16th 2016 was a truly momentous occasion for Solisyon Kominote Yo and CODEVI. The day’s events, marked an extraordinary day for all concerned. Indeed, it was an absolute delight for the team of Solisyon Kominote Yo and CODEVI to see the successful results of several months of common efforts to manage to turn a team of 10 former graduates into excellent trainers. That group of men and women , who had been selected and trained in October 2015 made us feel very proud by demonstrating that they were able to share efficiently their previously gained knowledge with a group of CODEVI workers and some members of the neighboring community. Furthermore, we could feel that many of the trainers had developed a strong sense of team spirit and desire to make a valuable contribution to the emergence of a greater knowledge-based society in their country. In addition, we would like to congratulate all the CODEVI workers and members of the community who have showed a high level of commitment towards this course by attending each class with a spotless behavior and by doing their practical assignments which demonstrated their understanding of the new notions that they had gained.For many, the occasion was a once-in-a-lifetime opportunity that they will never forget. The ceremony included a few artistic activities performed by some graduates and local artist, resulting in a vibrant celebratory atmosphere. For the first time, the organizing team included a projection of pictures taken during the classroom sessions, which were displayed on a white projection screen. Finally, the whole team of Solisyion Kominote Yo would like to give a special thanks to the LEVI STRAUSS Foundation for all its financial and moral support towards our work. The contribution of the LEVI STRAUSS Foundation enabled us to put together a team a trainers who worked hard towards expanding financial management skills throughout several of their family members, peers, friends and neighbors. 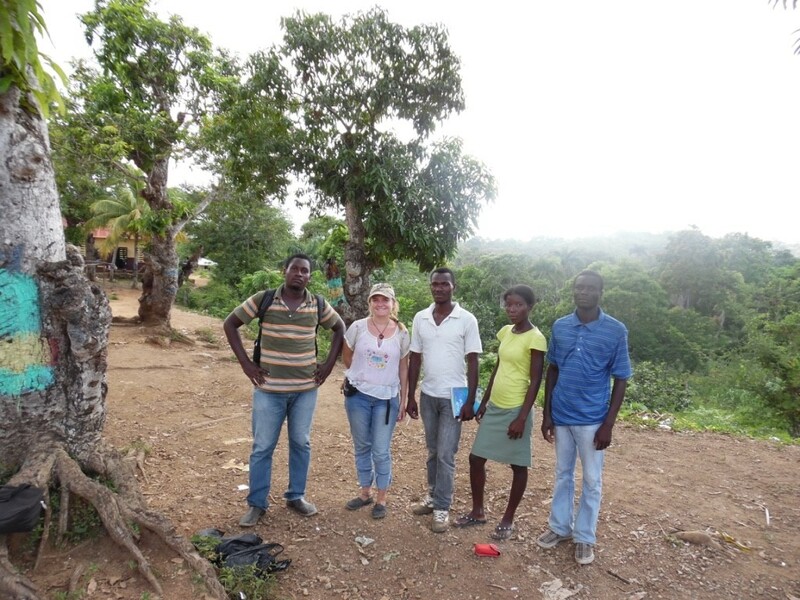 Together we are empowering a large number of Haitians by giving them the tools to help themselves.